Lets see where do I beign.... I am just going to talk a little bit about everything lol. Try to keep it straight. My mind is swirling with everything I want to say. Ok for starters I dont think I have talked about Denture cleansers before. I was told by my dentist that I could use a cleanser to soak my denture in from time to time. He also said that I didnt have to do this everyday since the cleansers are expensive. Well considering that my dentist is a little upscale in my opinion, I thought wow they really must be expensive. Well I went to the store and priced several. I ended up buying Fixodent with progaurd. It didnt seem to expensive to me about $4 for a box of 60. Well I was brushing my denture daily and using the cleanser every few days. I was having to really scrub them to try to remove the stains caused by coffee, tea and cigarettes. Was a real pain. I then began to notice that the days I used the cleanser they were coming out of the denture bath sparkling clean. I am now using the cleanser EVERY nite. I brush them up and then let them soak overnight in the cleanser. Its working out great for me. No stains on my denture. They come out so nice clean and fresh every morning. I have noticed I have become much more adjusted to my denture to the point when I wake up in the morning I sometimes forget that I dont have my teeth in lol. 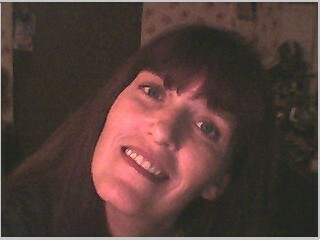 I have been asked if I have a problem with my natural teeth on bottom bothering the healing gums up top. Nope is my answer. The bottom teeth never meet that area. I will say sometimes my jaw aches just a tad when my teeth are out I have to remember to just relax my jaw muscles and rest my mouth. I have heard others say that they sleep with theirs. I do on occasion. If I stay up real late on a Friday nite etc. I will leave them in but first thing in the morning I do a quick soak and brushing to remove the day before gunk lol. Ever since I had my soft reline back in May I havent had to use any sort of adhesive. So from time to time, I eat something and it just seems to leave a icky coating on my denture I just go to the bathroom and pop them out and do a quick brush up and pop them back in. Makes the mouth seem fresh and clean again. Thats just a bit of stuff. The only problem I have had is with cheese. I am a big cheese fan. It seems to kinda just coat the denture. I just deal with it and eat what I want and rinse with a good bit of liquid as I eat. You cant see the cheese on the denture itself. But it feels a little funny when I run my tongue over them. So I just eat what I want then brush up if it is still icky lol. I can honestly say that the denture now feels just like my own natural teeth. When I run my tongue over them they feel natural. They didnt in the beginning but now they are my teeth lol. I can bite a hangnail lol. My lips peel sometimes and I can get the skin off with my teeth lol. I havent tried to tear open a chip bag or anything with my teeth though I am not going to push my luck lol. I think the newness has worn off. My friends and family dont comment constantly on them anymore lol. I find myself constantly smiling, sometimes I have to tell myself ok already you dont have to smile so much lol. I just love showing off my new smile. I am able to apply lipstick just fine now. That was a huge learning experience. I couldnt rub the lipstick in properly but now its a piece of cake. I do have to watch myself with men lol. I see someone smile and automatically I smile back. I have to watch that.... a man will smile and I will smile back and I can see the look on his face that he thinks I am returning his attentions and I am not I was just being polite and loving the ability to smile. So I am watching myself in those situations lol. I am a very happily married woman dont want to give the wrong immpression lol. They only problem that I want to discuss with my dentist on my next visit is the color shade of my natural teeth on bottom. I used Crest whitestrips on them. My hubby says it did lighten them up quite a bit. But to me they still seem kinda yellow. SO i am going to talk to the dentist about bleaching them. I want to have them nice and white before I get my permanent denture on top in Sept. I want the whitest smile that I can get but they need to match the bottom teeth too. Lets see what else lol. Kissing is heaven now. I dont fear hurting my hubby with broken teeth. I dont fear deep kisses. I can even grasp his lips with my teeth. I can love bite. That took some learning. It takes some time to learn the pressure needed for different things with the denture. I think I have pretty much mastered that now. Well I cant think of much else to comment on. I am doing so great right now I am just soooo Happy with my results to date. If anyone has any questions or ideas that they think I should discuss feel free to email me. I greatly appreciate any comments on my site. It gives me the extra boost to keep my site updated and current. I would like to thank all those that have contacted me with such wonderful comments and compliments. It really makes my day to know that I am not alone in this and that others are benefiting from my site. Til I post again. Smile and be HAPPY!! !